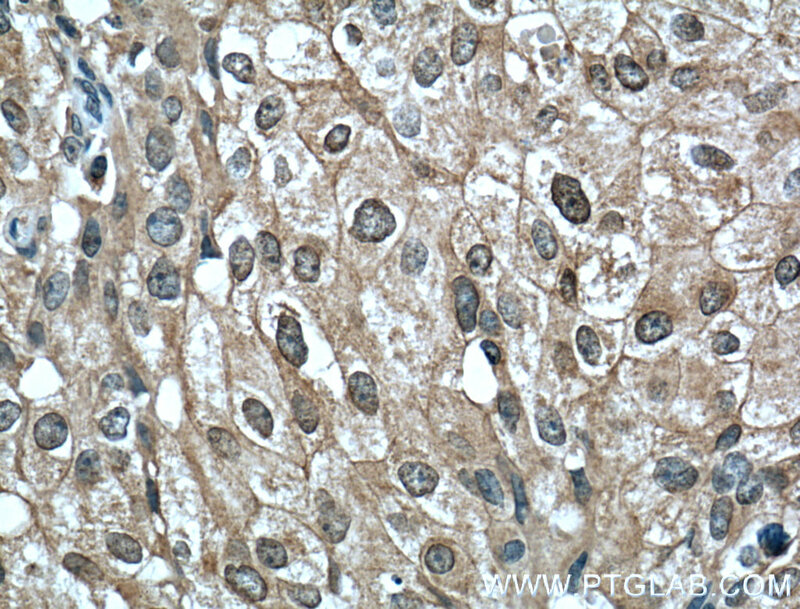 Immunohistochemistry of paraffin-embedded human breast cancer tissue slide using 66444-1-Ig( AKT-phospho-S473 antibody at dilution of 1:200 (under 10x lens). heat mediated antigen retrieved with Tris-EDTA buffer(pH9). 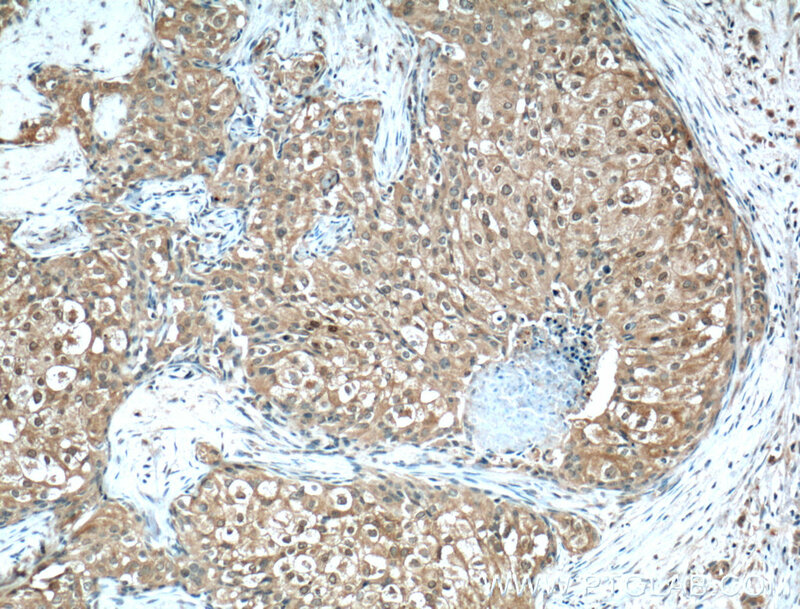 Immunohistochemistry of paraffin-embedded human breast cancer tissue slide using 66444-1-Ig( AKT-phospho-S473 antibody at dilution of 1:200 (under 40x lens). heat mediated antigen retrieved with Tris-EDTA buffer(pH9). The serine-threonine protein kinase AKT1 is catalytically inactive in serum-starved primary and immortalized fibroblasts. Survival factors can suppress apoptosis in a transcription-independent manner by activating the serine/threonine kinase AKT1, which then phosphorylates and inactivates components of the apoptotic machinery. 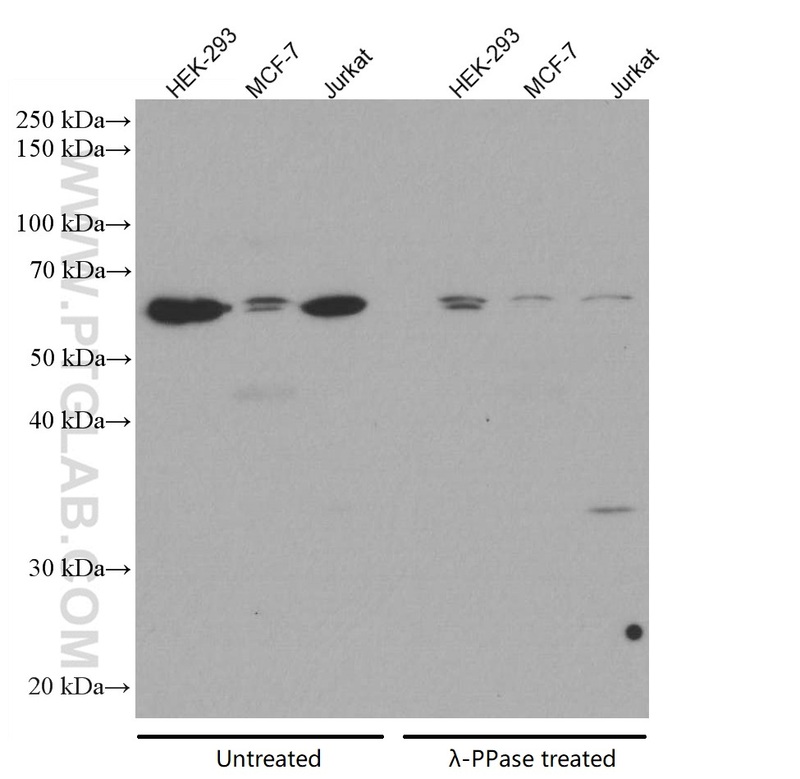 This antibody detects all the members of AKT with phospho-modification at Ser473. RasGRP3 controls cell proliferation and migration in papillary thyroid cancer by regulating the Akt-MDM2 pathway. Induction of autophagy by an oleanolic acid derivative, SZC017, promotes ROS-dependent apoptosis through Akt and JAK2/STAT3 signaling pathway in human lung cancer cells. Icariin Attenuates Synaptic and Cognitive Deficits in an Aβ1-42-Induced Rat Model of Alzheimer's Disease. Matrine reversed multidrug resistance of breast cancer MCF-7/ADR cells through PI3K/AKT signal pathway. UNBS5162 inhibits the proliferation of human A549 non-small-cell lung cancer cells by promoting apoptosis. Angiopoietin-like protein 2 facilitates non-small cell lung cancer progression by promoting the polarization of M2 tumor-associated macrophages. 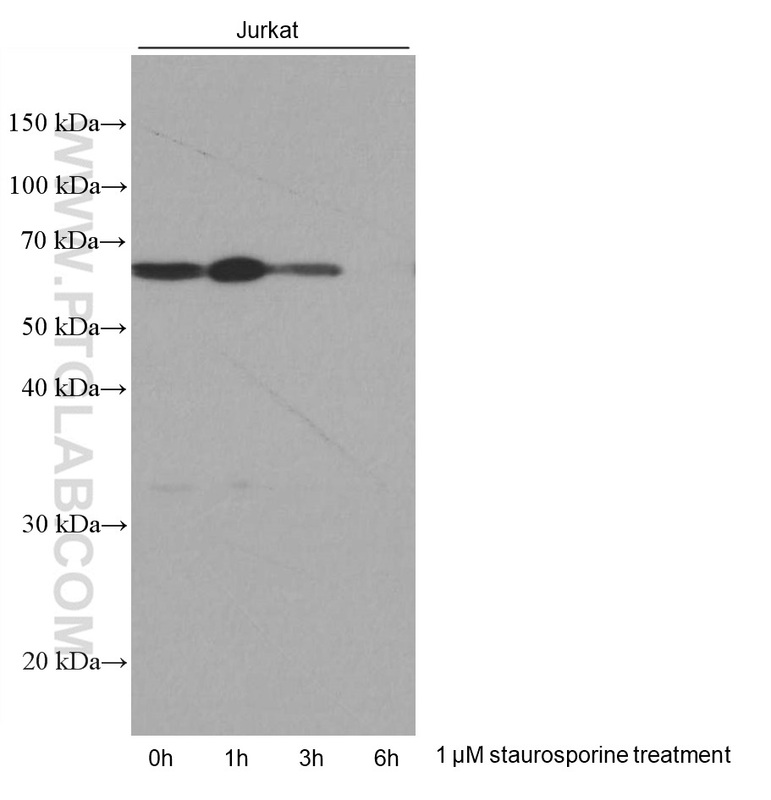 Various lysates were subjected to SDS PAGE followed by western blot with 66444-1-Ig (AKT-phospho-S473 antibody) at dilution of 1:3000 incubated at room temperature for 1.5 hours. The membrane was untreated (left) or treated with Lambda Protein Phosphatase (λ-PPase, 500U, right) at 37℃ for 1 hour before blocking.